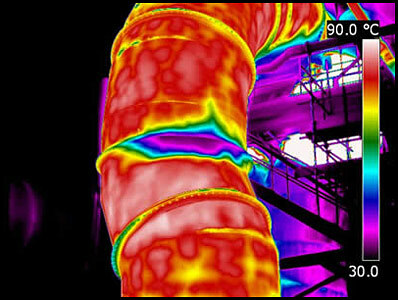 Internal Duct Damage - This hot process was under a negative pressure. 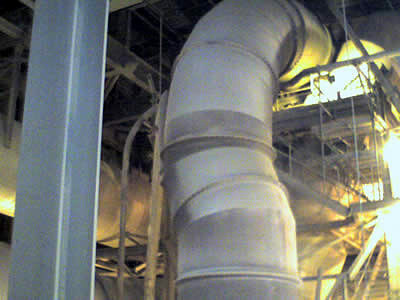 Damage at the flange joint was allowing air to be drawn into the ductwork. The effects of this were to significantly reduce the operational effectiveness of the process. There was also a severe safety implication if the flange were to completely fail.